With the current selection by the Baseball Writers Association of America of four retired Major League ballplayers to its Hall of Fame, let’s look back at the last time this happened — 1955. Randy Johnson, Craig Biggio, John Smoltz, and Pedro Martinez in July will join fabulous company. One of the larger classes was inducted on July 25, 1955, as the Hall of Fame welcomed BBWAA inductees — Joe DiMaggio, Gabby Hartnett, Ted Lyons, and Dazzy Vance; and Veterans Committee picks — Frank Home Run Baker and Ray Schalk. The biggest induction ceremony since 1939, the crowd fav was easily DiMaggio, according to the New York Times. Hollywood’s connection to one of these inductees is quite obvious. DiMaggio was briefly married to Marilyn Monroe. 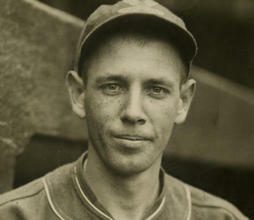 Considered one the all-time great ballplayers, the Yankee Clipper had a half-dozen red roses delivered three times a week to her crypt for 20 years. In the 1970s, DiMaggio became a spokesman for Mr. Coffee, and would be the face of the electric coffee maker for over two decades. DiMaggio also became a spokesman for The Bowery Savings Bank. 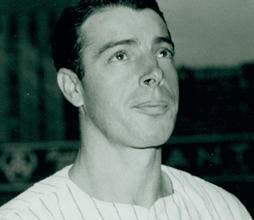 DiMaggio regularly made commercials for the financial institution until 1992. When there is an influx of qualified candidates, like there were for many years after the Hall was opened, voters tend to spread their votes out. DiMaggio’s 88.8% is not an aberration of the time, and a player of his caliber would probably receive over 95% if voted on in today’s era (Cal Ripken Jr., Tony Gwynn, Rickey Henderson, etc.). 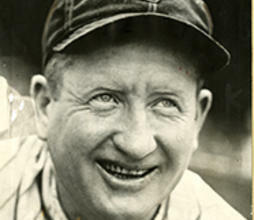 Not making the cut that year… Hank Greenberg (who was inducted in 1956), Joe Cronin, Hack Wilson, Red Ruffing, Max Carey, and Zack Wheat. All of these gentlemen were eventually selected to represent these hallowed grounds. This entry was posted on Wednesday, January 7th, 2015 at 12:36 am	and is filed under Blog by Manny Pacheco. You can follow any comments to this post through the RSS 2.0 feed. Responses are currently closed, but you can trackback from your own site.